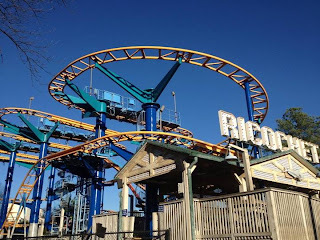 Carowinds Repaints both Afterburn and Ricochet for 2014. Carowinds is spending some of their big new budget on repainting. 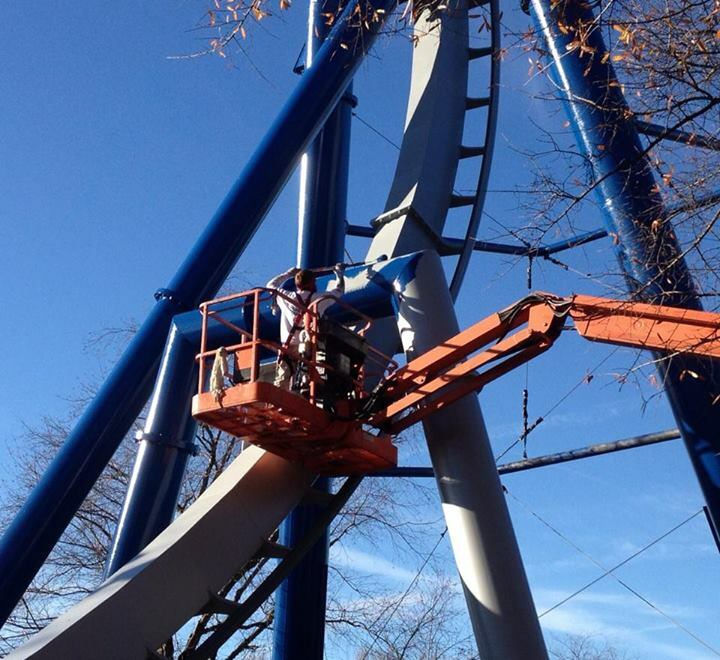 Both Afterburn and Ricochet are getting fresh coats of paint for the 2014 season. Afterburn, which is a B&M version of the old Paramount Parks "Top Gun" coaster, will celebrate it's 15th birthday during the 2014 season and is seeing some much needed attention in return. Carowinds has posted several new photo's to their Facebook Page showing Afterburn getting a coat of primer. No one is currently sure if the coaster will be repainted in it's current colors or if it'll be receiving a new color for it's birthday. 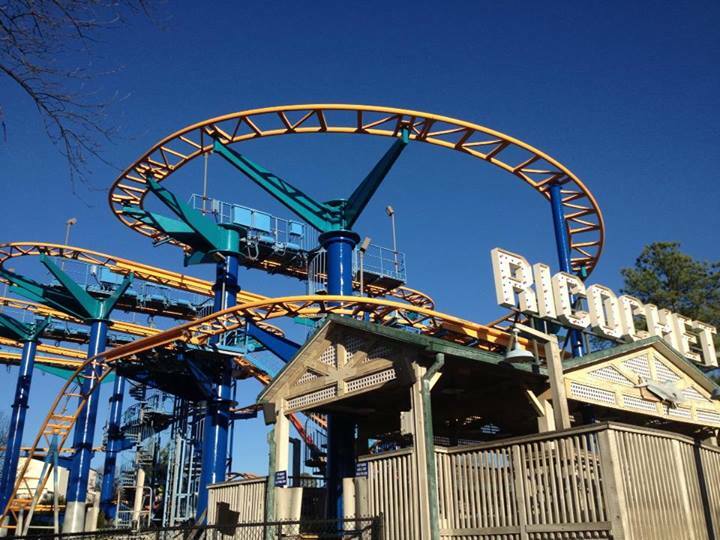 Ricochet, the parks 'Wild Mouse' coaster, is also getting a new paint job for 2014. Carowind's reports on it's Facebook page that the track will now be painted a 'lime green' color to go with the new blue and teal supports.